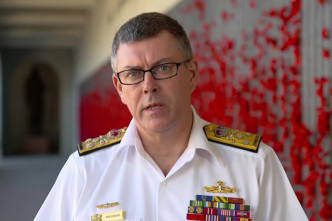 The Royal Australian Navy has completed verification trials of a new drone. The Camcopter S-100 is made of titanium and carbon fibre and is designed to navigate via preprogrammed GPS waypoints, improving the navy’s intelligence, surveillance and reconnaissance capabilities. Sixteen other countries, including the US, China and Mozambique, have Camcopters in service or are testing the drone. French navy destroyer FS Jean de Vienne recently seized 530 kilograms of heroin from a dhow in the Arabian Sea. The destroyer is part of Combined Task Force (CTF) 150, a multinational naval force focused on intercepting drug shipments in the Horn of Africa area. 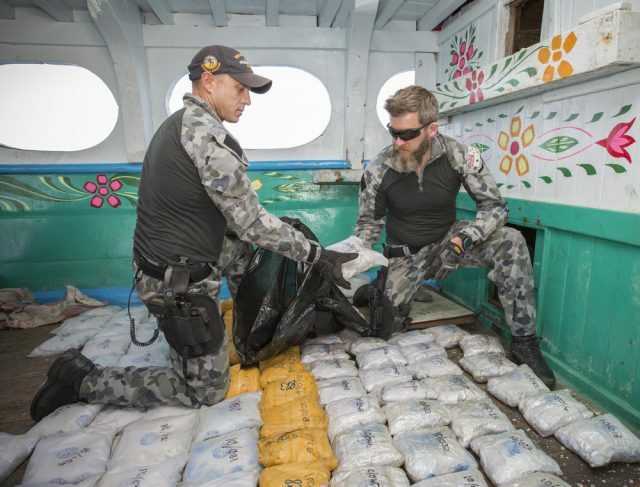 Also assigned to CTF150 is HMAS Warramunga, which has seized over 21 tons of narcotics since December. The Singapore navy launched its sixth Independence-class littoral mission vessel (LMV) on the weekend. LMV Fortitude is 80 metres long and displaces 1,250 tons. The LMV program’s eight ships are approximately twice the size of the Fearless-class patrol vessels they will replace. The last Independence-class LMV is expected to be delivered in 2020. Two influential Republican senators have urged US President Donald Trump to share the Lockheed Martin F-35 or the F-16V fighter jet with Taiwan. They argue that Taiwan’s current air power capabilities are insufficient as a credible deterrent. Lockheed Martin is negotiating to sell 440 F-35s to a group of 11 countries, including Australia. 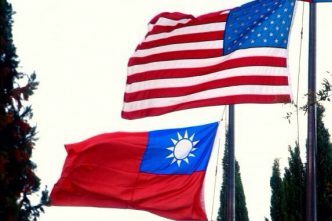 Any sale of US fighter jets to Taiwan risks increasing tensions not just between Taiwan and China, but also between the US and China. Afghanistan’s squadron of Sierra Nevada Corporation A-29 Super Tucano light attack aircraft dropped the country’s first laser-guided bomb on a Taliban compound. The aircraft are designed for counter-insurgency operations, and the laser system’s precision targeting helps to reduce civilian casualties. The US Air Force released a video projecting the future of air warfare. The video was created by the Air Force Research Laboratory, which anticipates a central role for unmanned and AI-guided air vehicles and systems, as well as stealthy jets and laser weapons. Though intended to inspire additional research, most of the concepts advertised are already in development. Brazil deployed nearly 4,000 troops in Rio de Janeiro’s favelas in response to increasing violence. It’s the largest show of force since President Michel Temer placed the military in charge of security in the city in February, reviving a constitutional provision that hasn’t been used since military dictatorship ended in 1985. For Temer, the federal intervention could prove useful with public security one of the biggest issues in the lead-up to Brazil’s October elections. The decree also creates a legal mechanism that allows Temer’s unpopular pension reforms to be approved quickly. In Haiti, the military will also take responsibility for security, treading on the toes of the national police. Haitian President Jovenel Moïse installed a seven-member high command for a planned 5,000-strong army. Among the new leaders are soldiers who were members of the former Haitian military and who supported the coup against the state’s first democratically elected president. The second phase of Saudi Arabia’s Gulf Shield-1 military exercises kicked off on Sunday. Twenty-three states are participating in the joint live-fire exercise. 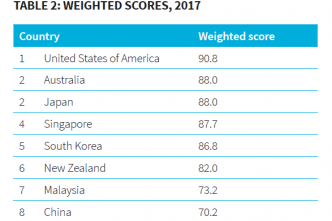 Pakistan is the leading contributor. Islamabad’s participation caused a media stir because Pakistan had rejected a Saudi request in 2015 to send troops to support Saudi Arabia’s intervention in Yemen. The latest space cooperation agreement has been signed between India and the EU. They have agreed to share earth observation satellite data from Europe’s Copernicus satellites and India’s Isro satellites. This is the latest in India’s space cooperation partnerships. Earlier this year it signed the India–France Joint Vision for Space Cooperation and the India–Israel space exploration memorandum of understanding. In 2016 it signed the India–Japan space cooperation memorandum of understanding. As China’s Tiangong-1 spacecraft comes crashing down to Earth—it re-entered the Earth’s atmosphere on Sunday—the US is struggling to get a new telescope into orbit. The James Webb Space Telescope was scheduled to be launched this October. However, NASA has pushed back the date until 2020. The telescope’s space vehicle and optical telescope hardware have yet to be integrated into one system. The Government Accountability Office has said that if the launch date slips past June 2019, the project will exceed its US$8 billion cost cap. The 2018 session of the UN Disarmament Commission kicked off in New York this week, with a focus on preventing an arms race in space. 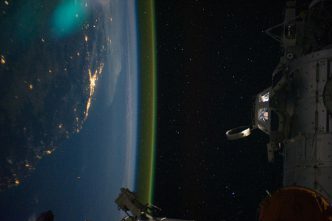 Thomas Makram, Deputy to the High Representative for Disarmament Affairs, warned that ‘as long as some continue to see outer space as a potential realm for war, there would be an increasing risk of weaponisation and conflict’. Space weapons are already a reality: Washington will appoint its first uniformed leader in the Pentagon dedicated to military space operations this week, while Beijing and Moscow are rapidly developing counter-space technologies. Boeing has been hit with an attack by the WannaCry virus. The attack on Wednesday caused widespread panic in the company. The chief engineer at Boeing Commercial Airplane production engineering requested ‘all hands on deck’, fearing that the virus could infect airplane software. A Boeing press release later said that reports about the attack were ‘overstated and inaccurate’, and that the virus only ‘affected a small number of systems’. US Army Secretary Mark Esper says the future US Army will make greater use of autonomous systems, robotics and AI. This will ‘make our units more lethal, our soldiers less vulnerable and the Army far, far more effective’. This is a significant development as there was no mention of autonomous systems in the US National Artificial Intelligence Research and Development Strategic Plan, the best-known of Obama-era reports on the topic. Japan and Thailand announced the establishment of an ASEAN–Japan Cybersecurity Capacity Building Centre in Bangkok. More than looking at cyber threats and ‘killer robots’, the centre will focus on ‘creating a trusted ASEAN digital economy and improving cyber emergency responses and collaboration’, as outlined in the ASEAN ICT Master Plan 2020. A robust digital economy is seen as a key driver of prosperity in ASEAN’s economic community, contributing up to US$200 billion by 2025. Christopher Dixon, Jessica Clarence, Amelia Meurant-Tompkinson and Melissa Liberatore are research interns at ASPI. Image courtesy of the Department of Defence.